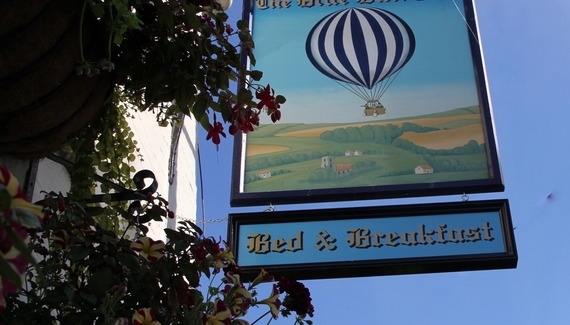 The Blue Ball takes its name from one of the first hot air balloons, which landed nearby in the 1750s. 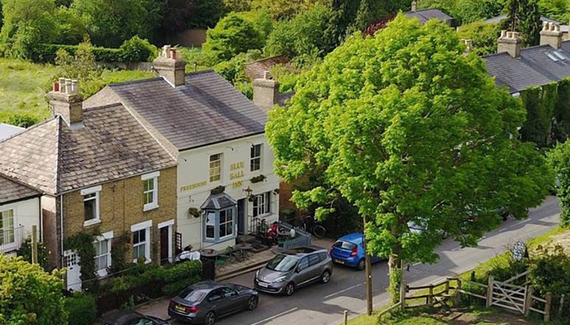 Ideally placed, with Granchester Meadows for a front garden and views across the river to the spires of Cambridge's colleges, this pretty country pub is thriving under the care of Toby and Angela. Taking pride of place in a row of cottages, the Blue Ball's bright whitewashed walls, bay window and flowing flower baskets is postcard-perfect. 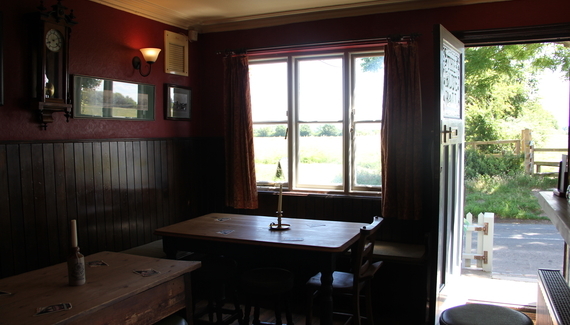 Inside all is spotless, scrubbed and poised to welcome hungry locals, walkers, twitchers and tourists. Tuck into shepherd's pie topped with cheese crusted leeks, or a bowl of hearty soup with a sandwich. At the back, a heated pavilion, shrine to the local cricket team, where you can while away a happy afternoon with a pint of Aspal's Harry Sparrow cider. 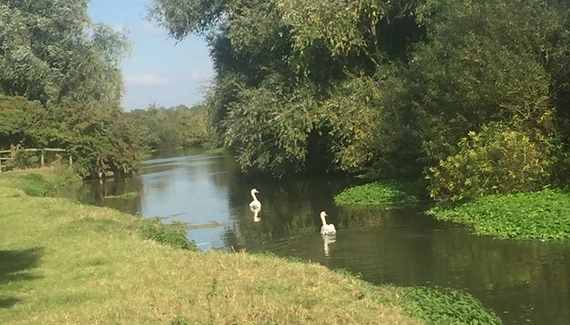 Stroll across the Meadows to spend the day in Cambridge. 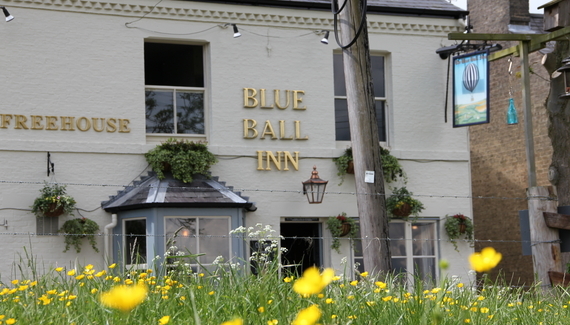 250 years old in 2017 , The Blue Ball looks over the famous Grantchester Meadows, a favourite haunt for Rupert Brook , Pink Floyd and Lord Byron, punt up the river cam from Cambridge, walk or cycle across the meadow. 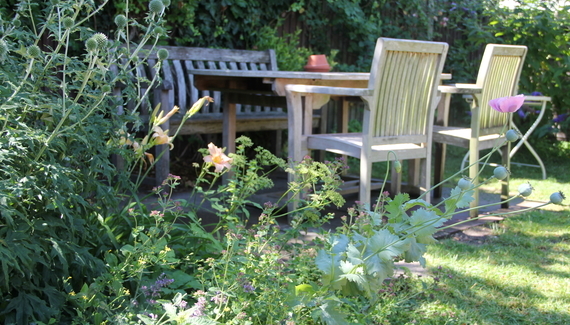 Described as "near perfect " by The Sunday Times and featured on the BBC Good Food web site guide to Cambridge eateries. 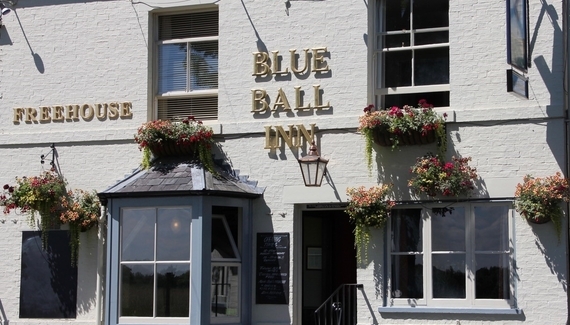 Have you visited The Blue Ball Inn? Starters from £4. Lunch from £9. Mains from £9. Fenced back garden ‘dog proof’; river 200 yards for dogs to get wet in (as ours does). Garden hose for dogs who’ve rolled in cow pats on the meadow. Watercolour montage of all our ‘regular’ dogs! 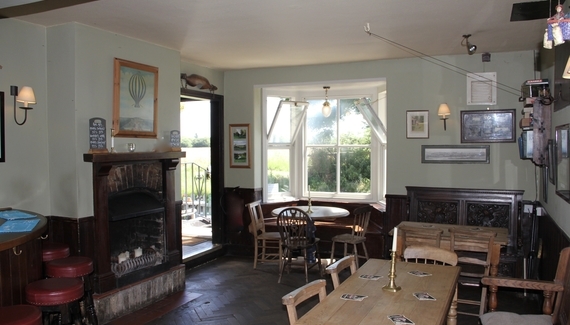 A dogs welcome sign at the front of the pub, dog biscuits behind the bar and bowls at the front door and in the back garden.